Having a guaranteed SEO and making your blog rise to the top rank in the search engine would definitely not be the end of the process of making your blog be known to the people. Keeping and maintaining your blog traffic would also be your duty to gain more readers that would engage in your blog posts. Leaving your blog without maintaining its traffic is very risky especially when your blog post is already on the top rank on the search engine. You also have to consider thousands of bloggers who would love to have your rank and replacing it with theirs. You definitely would not allow this, would you? Keeping and maintaining your blog traffic and making sure that the viewership of your blog posts are increasing would be a challenge. It is challenging since you have to consider the other things that readers would engage and must be engaged in while reading your blog. Not just viewing, but staying and reading your blog posts and then, interacting with the posts and other people who have read and interacted with your posts. As bloggers, by profession or hobby, there are some points to ponder when you want to keep and maintain high-quality traffic on your blogs. And, here are some things you can do to make sure that your blog ranking would surely stay on the top. Be mindful that that there are a lot of bloggers who also generates good traffic on their blogs. As a blogger, you also have to be observant on how other bloggers successfully generate and maintain good traffic. When you feel like your blog still needs more improvement, you have to act accordingly. Change the content angles, for instance, to make your blog more noticeable. You do not just observe, but you also have to identify and determine other bloggers that are capable of bringing high-quality traffic to your blog. Involve and mention them on your blog post, too. In that way, you are building a relevant support page that target the same search term and internally link to it. Including quality links on your blog post can help enhance the visibility of your blog. Improving and constantly updating your blog for the better is also one way of maintaining and increasing convert-ready traffic on your blog. With this said, you have to know which blogs can help increase your traffic and which blogs do not offer any help. With all the efforts that you have been putting on your blog, there will be a time when your blog traffic will suddenly rise. It is best that you have to immediately identify the major source that boosts such traffic so that, you can have the same and better amount of traffic in the future when you need them on your blog. 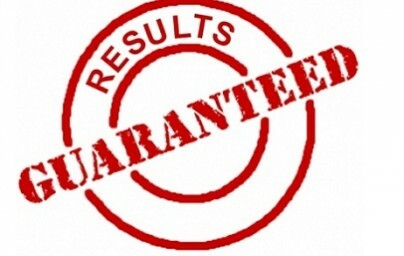 There is a big possibility that the previous blog posts that you have mentioned in more current posts, for marketing purposes will receive page visits for the second time and most likely be liked and shared again. Don’t feel tired in giving compliments to the other bloggers. Since they will also voluntarily link your blog posts on their blog posts and vice versa. That is the beauty when you have created a good rapport with other bloggers which also gives you a lot of blogging and rank-increasing opportunities. More about this on the latte part. Constantly updating and improving your blog is a key factor here. Informing and making the readers happy and satisfied is your duty as a blogger. People usually depend on the information that you give. When they feel that you, as a blogger can be trusted when it comes to the things that you have already imparted to them, they will come back for more. They will do so for future reference. Put simply, the more interested people are in your site, the higher the page rank your page will be. That is why satisfying your readers should be your number one priority. It is true they say that you have to write for your readers and not the bots. There are a lot of influential people out there who are mostly active in blogging that can also help publicized your blog. How? By linking them to your contents, involving them on your topic can attract other bloggers who are also aware of the influence of the blogger or topic you mentioned in your post. Since most influential people are active in blogging, there are most likely to share your blog on various social media platforms that they have a direct and indirect control of. There is also a big chance that your blog will be seen and shared by the other influential bloggers in their respective social sites. With that, it will help your blog’s visibility in the search engine and any other social channels. How can you do this more specifically? There are actually a lot of ways on how you can link or mention them on your topic. Influential people often publishes words of wisdom that may fit your topic; you can also quote them as your reference while using their own words. Or, you can also mention them by linking their blog post which discussed something related to your topic. Mentioning and linking influential people or bloggers is not enough, you also have to create and build a good rapport to other bloggers as well. Put simply, involve other bloggers in your posts. Always remember that showing a good attitude and gratitude to other bloggers reflects your personality as an individual blogger. Starting and building a good conversation and sharing insights to the other bloggers will be an advantage on your part. The question now is how you can effectively network with other bloggers? You can build a good connection with commenting or leaving a good remark on the comment section or even in their personal emails. Giving those compliments on how they are keeping up the good work, on how informative the contents are and how they can let the readers engaged with their topic work well in the blogosphere. These simple acts encourage other bloggers to make their own work better than the previous one. With that, they will have a good reason to visit and explore your blog and more likely to share your blog posts on their site or any other social sites. To make sense of it all, guaranteed SEO in this context refers to gaining, keeping and increasing high-quality traffic on your blog. Traffic come and go, but convert-ready traffic is sure hard to come by. Above are some of the strategies that bloggers like you may implement to secure their post in the top of the results pages. 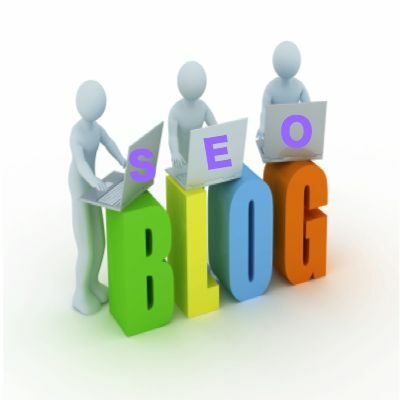 Blogging is one of the best methods to improve SEO performance. As each blog post becomes a new page, it then provides fresher and newer content on the website which is exactly what Google wants. Integrating a weblog then is a marketing technique that most businesses apply on their sites. Optimize your pages to improve SEO ranking. Here is a quick guide to show you how. 2. On-page. These factors are equally important to send favorable signals to the search engine bots. Theme. This comprises of having a neat design that has easy and smooth navigational structure and clean CSS and HTML codes. Loading Speed. The quick speed in which the page loads usually equates to good user experience. Hence, install plugins that will output optimal results. Sitemap. A sitemap is a full map of all your posts, pages and archives. 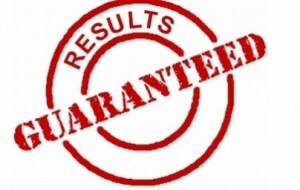 Generating one regularly and submitting it to Google helps the spiders to index your posts better. 3. Links. This pertains to both internal and external links. Internal. There shouldn’t be any broken link anywhere on the website. External or Inbound. Increased traffic is one of the benefits of SEO and one way to improve the number of visitors coming to your weblog is through building relevant baclinks in a natural way. 4. Social Media. Google is looking to social media mentions as an indicator of an article’s authority and relevance. Thus, having profiles in Facebook, Twitter, Youtube, Pinterest and other major social networking sites plays a huge role in getting your content spread out over the web. Adding share buttons at the end of each post makes a big difference as well. 5. Mobile-friendly. In today’s age where almost everyone is on mobile, it has become a necessity to ensure that your articles are accessible on smartphones and tablets too. It is then advised to either create a mobile-version of your entire site, blog included, or go for responsive web design.